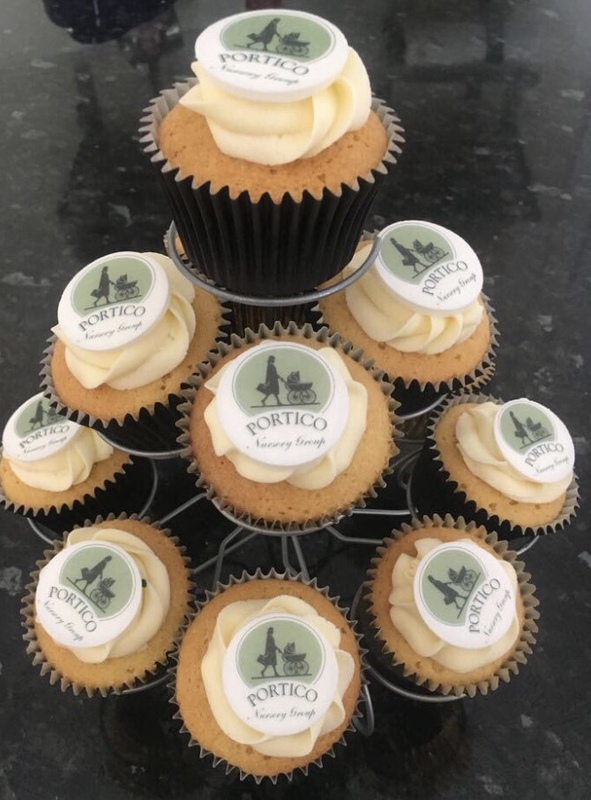 As part of Early Years Wellbeing Week Sarah Fillingham area manager from Portico Nurseries shares with us her case study from July 2017, on leadership and emotional wellbeing. Sarah also shares 12 months on, an update of where they are now and the impact it has made on staff and children’s mental health and wellbeing. At the start of my NPQSL year I had to complete a 360 diagnostic test which asked me questions about my role, current leadership skills and attitudes. One of the areas I felt I really wanted to develop was my own emotional intelligence, awareness of my feelings and how this impacts on my work, my wellbeing and also on how this impacts on others and their behaviours in work. I’m quite an emotional person, I think I just took everything far too personally, and at the time had loads of stuff I had to do and not enough time to do it. On reflection I always thought I was a great manager (I’m pretty sure I was quite good) yet struggled as I’m sure we all do, to fit everything into my day. I realised on reflection how I did a little bit of everything without any real purpose, direction, impact or follow up. I was also pushing the same pressures onto my staff team, and now as area manager I could see that I was doing it the managers I was supporting in trying to introduce the latest fad etc on top of their already massive workload. It was all for love – I just wanted everyone to do the best we could for the children. Working in early years is a high pressured job, with legislation and practice constantly changing. Its very hard to keep up and make changes and keep all stakeholders including yourself, happy at the same time. Throughout my project I kept this area of development in mind, and with lots of further reading, practice and learning to re adjust the way I think about and react to things I think I’m coming out the other side a much more level headed, happier, more balanced person. I have stopped doing things “for Ofsted” – and bombarding managers with ‘this article’ and ‘that project’ that needs to be implemented and by changing the way we reflect on practice and self evaluate, I can support each team more meaningfully with things that actually matter to them. Instead of doing a little bit of everything, we now do a lot of something, which means bigger impacts on either staff development or children’s outcomes. It is ok to have days when things don’t to go to plan – things come up – that’s life. It’s how we manage our time and utilise our team that will mean things don’t take over. I have also learned that I don’t know everything and that’s ok – even more so, its ok to admit it and identify someone who has the skills, knowledge or even just the time required when you haven’t for a particular task. This doesn’t challenge mine, a managers or any one else’s position or role, more so I have found that it develops respect, shows acknowledgement of people within the company and supports sustainability through developing the team and possible future leaders. I can’t say that I don’t get anxious anymore, and that I’m no longer stressed. I still worry about stuff because at the end of the day I want to get it right for the children we care for. What I hope I do is be aware of and manage my thoughts and feelings better in order to carry out my job better, manage my time well and to continue to learn and to feel better in myself in order to be a good role model for the rest of the team by being the best version of me that I can be. So, this is where our new Supporting Mental Health and Wellbeing Policy comes in. Completing the SSTEW scales over the last couple of years, and looking at emotional development and wellbeing of the children, has really made me think about the mental health and wellbeing of the staff team too. We spend all day every day supporting the children and families wellbeing, but who is looking after us? Everybody is here because of a genuine love for the children. This passion is what drives us but yet it is what puts pressure on us when we feel we can’t give our best. Whether it is to do with work or personal life, more and more sickness days are due to stress, anxiety or depression. According to Time to Change, 1 in 4 people will experience mental health problems every year. In our understanding that there will be pressures that come with our job, as a company we have already put things in place to reduce the stress on our teams such as reduced planning and paperwork expectations. After being brought up year on year on staff questionnaires, time out is no longer an issue. Paper work completed is relevant, meaningful and compliments what we know about the children by spending time and engaging with them on a daily basis and not having being in the staffroom writing up observations every other day. Technology we now use is helping us to produce our work quicker and smarter. Peer observations are truly creating a culture of learning together and coaching each other to be more self aware and better at what we do. The very nature of coaching each other and the relationships it is building can only be a positive for our emotional intelligence and wellbeing. Being aware of ourselves, others, and being in charge of our own learning and development puts us at the top of Maslow’s hierarchy of needs where we can support personal growth, fulfillment and support everyone to meet their full potential if they want it. We have a working policy and risk assessment. 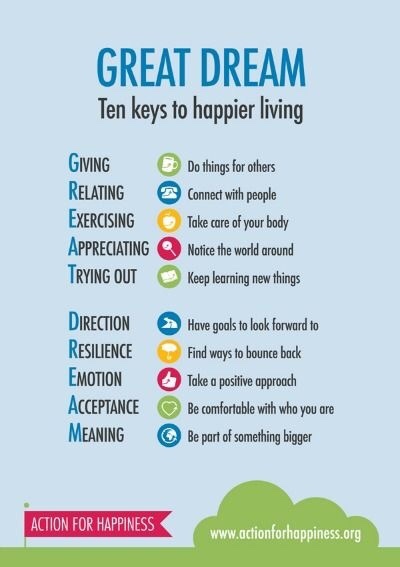 These have just been reviewed and amended in a workplace mental health and wellbeing champions meeting. We have 12 work place champions across our 7 settings and office hub team. Some of our staff team are improving their physical and mental health by taking up walking, jogging, swimming, running or other forms of exercise. Our “fat fridays” are sometimes now “fruit fridays”! We have revamped our team staff rooms to be a much nicer place to take a break and relax. 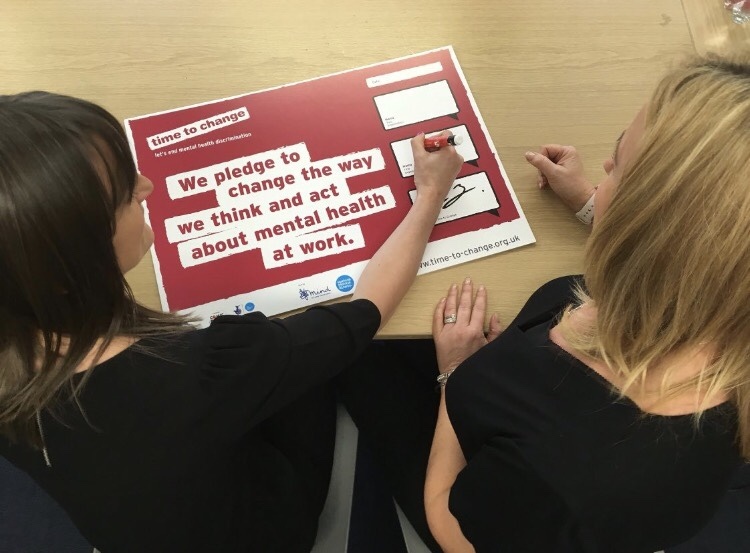 We have had some staff come forward who are willing to share case studies of their own mental health and wellbeing to support their colleagues. We have identified that we would like to complete our team questionnaires each term which will help us identify issues such as which particular times of the year cause more stress for the team, and help us look at what we can do to support around this. We aim to create a visual wellbeing scale so we can see visually how it fluctuates over the year. This questionnaire has now been reviewed and we are ready to rollout out termly to link in with our supervisions with is really exciting for us. This now focuses on staff well-being and involvement during the term. We have held a curry and chat or chilli and chat nights, where staff get to stay after work and eat together, chat and take part in various activities we have accessero the Time To Change website. This is also a great opportunity to have lots of signposting information out for people to access. 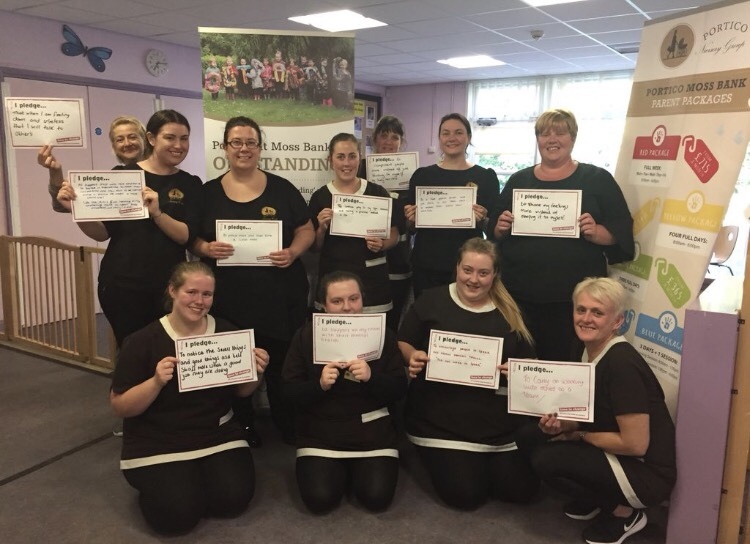 Through coaching and mentoring, our managers are better equipped at supporting their team in their professional development and by investing time like never before will help individuals feel like they have a say in what happens within the nurseries. In early years, we are constantly looking to improve – identifying gaps and looking at areas of weakness in order to get better. This isn’t a bad things but we are trying to flip things – and look for the good. We know children love praise – we need to remember to praise the staff too. Members of our team may receive a letter of thanks or congratulations on great work from our director. Staff shout out boards are engaging staff in thanking each other. 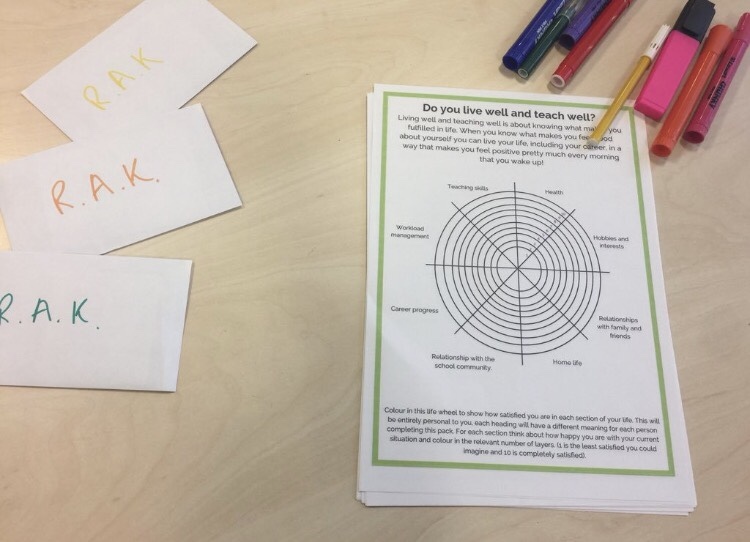 Stressors questionnaires are helping the team understand each others roles and knowing each others work load and responsibilities means we are aware of when someone may need help, someone to take the load off, or just ask are you ok. Through our new found knowledge of neuroscience and early brain development, we are working on improving how we support children’s emotional development with tonnes of improvements to practice and policy around how we support children’s feelings and understanding of their own emotions in order to help them learn to self regulate and to develop self esteem and resilience. We are linking all this work with our PANCOS who are just about to send questionnaires out to parents to help us measure the impact of our work. We are using the government tool to monitor the impact on staff sickness and absence rates. 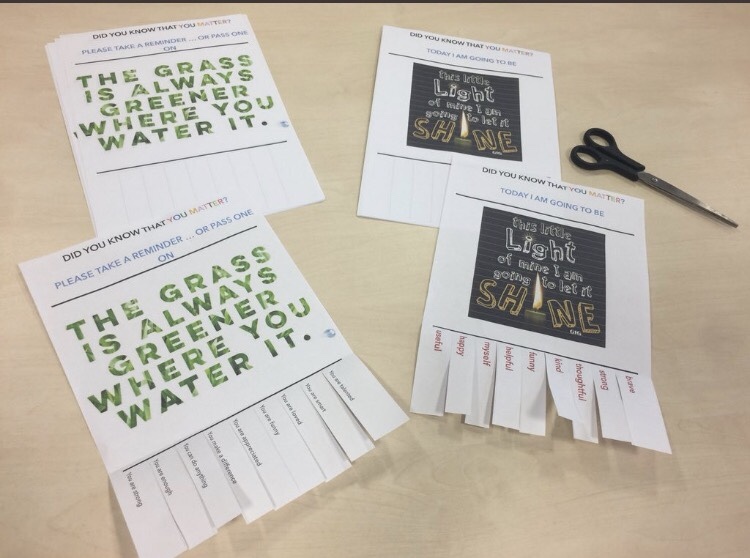 Our new self evaluation and action plan review system which replaced the Ofsted SEF (yes we finally got the courage to get rid even though they have done so themselves now) truly engages the whole team in reflecting on practice like never before and therefore puts them in charge of decision making.